The materials contained on our site are provided for general information purposes only. We do not accept any responsibility for any loss which may arise from accessing or relying on the information on this site and to the fullest extent permitted by English law, we exclude all liability for loss or damages direct or indirect arising from the use of this site. All orders over a subtotal of £50 (and its equivalence in Euro) are eligible for free shipping. • Domestic Shipments: All PayPal and credit card orders are shipped within 1-2 business days, excluding weekends. However, sometimes further verification is needed regarding shipping or payment details. If such verification is necessary, we will contact you and do our best to resolve it as quickly as possible. Please make sure to provide us with valid contact details with your order. • International Shipments: Micabeauty Cosmetics does not assume responsibility or liability for any customs issues: including duties or taxes. Please take into account that any custom charges must be paid directly by you. We will not refund items seized by your local customs office. Micabeauty Cosmetics does not assume responsibility or liability for any additional local carrier fees. Estimated delivery time for items that we have in stock is calculated based on the date of shipment; provided issues do not arise with your local customs office. Some countries may require various types of import licenses. Micabeauty Cosmetics will not knowingly ship products to countries that require such licenses. * All orders are shipped using the services of FedEx, DHL and Royal Mail. Therefore, we CANNOT ship to P.O. Boxes. * An email confirmation of the delivery will be sent out with each order. A tracking number together with the shipping service company name will be provided for every order above £50 in an email. This Privacy and Security Policy is governed by our Terms and Conditions. We may periodically make changes to this Privacy and Security Policy, which will appear on this page. It is your responsibility to review this Privacy and Security Policy frequently and to remain informed about any changes to it, so we encourage you to visit this page often. 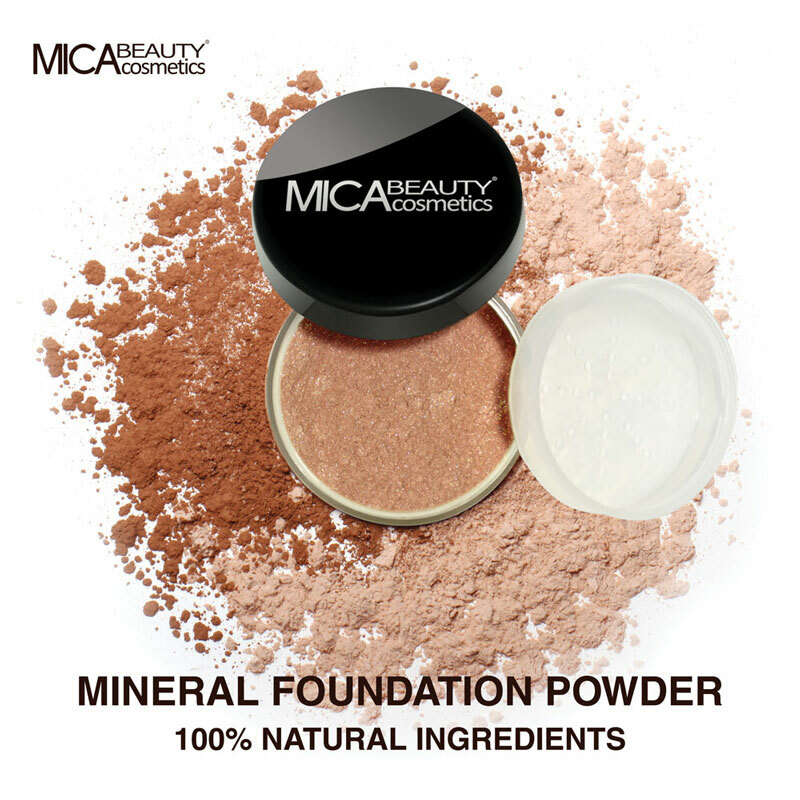 This site, Micabeauty.co.uk is not intended for persons under the age of 18. By registering with this website, purchasing products from Micabeauty.co.uk or providing Micabeauty.co.uk with any information, you declare that you are 18 years of age or older and that any information that you provide for a third party is for a third party that is 18 years of age or older. We will collect the following information: full name, address, and phone number. This is mandatory as the phone number is needed to the shipping company. When you use our website, we may request your first and last name, home or other physical address, including your street name, and the name of your city or town, your telephone number or other "real world" contact information. We use this information for purchases from Micabeauty.co.uk, customer service, and compliance with legal requirements. This information may be disclosed to our staff and to third parties involved in the completion of your transaction, the delivery of your order, or customer support. We will use your email address, to contact you online. We only use this information to complete, support and analyze your purchases from Micabeauty.co.uk, use of the Micabeauty.co.uk website, and to comply with any requirements of law. We use this information to respond to any questions that you might have and to provide you with information about special deals appearing on the Micabeauty.co.uk website. If you have opted for this service on the Account Login page, the information provided by you may be disclosed to our staff and to third parties involved in the completion of your transaction, the delivery of your order, or the analysis and support of your use of the Micabeauty.co.uk website. When you use our website, we may collect personal information about you. You may later access and modify the information, or have it removed. You may also choose not to provide your personal contact information at the point of collection. However, if you do not provide such information, we will be unable to complete your purchase. We may collect information actively generated by the purchase of a product or service, such as a payment method. We use this information to process your order and analyze and support your use of the Micabeauty.co.uk website. This information may be disclosed only to our staff and to third parties involved in the completion of your transaction, the delivery of your order or the analysis and support of your use of the Micabeauty.co.uk website. You may later access, modify, or remove the information from our system. We may disclose your information, if necessary, to protect our legal rights, if the information relates to actual or threatening harmful conduct, or if Micabeauty.co.uk has good faith to believe that such action is necessary to (1) conform to the requirements of law or comply with governmental orders, court orders, or legal process served on Micabeauty.co.uk or (2) to protect and defend the property or rights of Micabeauty.co.uk, the users of its website, or the public. This includes exchanging information with other companies and organizations for the purposes of fraud protection and credit risk protection. If Micabeauty.co.uk should ever file for bankruptcy or merge with another company, we may sell the information that you provide to us on the Micabeauty.co.uk website to a third party or share your personal information with the company we merge with. 1)	By credit card - Visa, MasterCard, American Express and Discover card accepted. No need for a PayPal account. 2)	Using your existing PayPal account. We generally keep user data on our server or in our archives for as long as we deem reasonable. We may alter our practices at the management's discretion. For example, we may delete some data if needed to free up storage space. We may keep other data for longer periods, if the law requires it. In addition, information posted in a public forum could stay in the public domain indefinitely. Data management requests are administered in an orderly manner within our direct control. Note: we have greater control over recently collected data than archived data. Once data is removed from the system and archived, it may not be feasible to accommodate specific requests. In those cases, our general data retention policy applies. Once registered to our system, you can view and edit your saved info by logging into your account using the email address which was used for registration and the password selected. If you encounter any difficulties to do so, you can use the password restoration option or contact us at any time. In addition, if you have further inquiries about any piece of information we may hold, we are keen to assist with further inspection. At any given time, you can close your account and have all info erased. Please take into account that we might need to keep some information (such as transaction history) in order to comply with certain legal requirements. In any case, our customer service team can examine each case by its own and cooperate with any request to the best of our ability. If you have not registered with us but used the guest checkout option, please feel free to contact us with any inquiries regarding personal data so we can assist. During your visit with us, will may offer to register your email address with us so we can send you updates and benefits from time to time. We will do so in a clear, informative manner and confirm each subscription. If you believe you were mistakenly subscribed or for any reason would like to be removed, please use the unsubscribe links provided or contact us for immediate assistance. This site, Micabeauty.co.uk, contains links to third party websites. Micabeauty.co.uk is not responsible for the privacy practices or the content of such websites. Your use of these third party websites is entirely at your own risk. By using this site, the Micabeauty.co.uk website, you agree to this Privacy and Security Policy. This is our entire and exclusive Privacy and Security Policy and it supersedes any earlier version. Our Terms and Conditions take precedence over any conflicting policy provision. We may change our Privacy and Security Policy by posting a new version of the policy on this page, which it is your responsibility to review frequently. This site, Micabeauty.co.uk, operates AS-IS and AS-AVAILABLE, without liability of any kind. We are not responsible for events beyond our direct control. This Privacy and Security Policy is governed by UK law, excluding conflicts of law principles. 1. All claims for refunds, shortages, and/or damages must be placed within ten days of receipt of merchandise. 2. All returned merchandise must be received by Micabeauty cosmetics in a saleable condition, unless the merchandise is found to be defective. First, browse or search for the items you would like to order. For your convenience, a keyword search box is located on every page of our site. You will also find links to browse lists and more detailed product-specific searches on the left side navigation bar of each page. When you find an item that interests you, click the title or name of the item to see a detailed description of the product. To order an item from Micabeauty.co.uk, click the "Add to Bag" button on the product detail page. Once you've added an item to your Shopping Cart, use the cart's top navigation bar or the "Continue shopping" button to keep searching or browsing until your cart contains all of the items you wish to order. You can access the contents of your Shopping Cart at any time by clicking the Shopping Cart icon on the right side of every page of our website. Take a moment to review all of the items you've placed in your Shopping Bag. When you're ready to place an order for everything in the "Shopping Bag Items--To Buy Now" section of your cart, click the "Proceed to Checkout" button. You will be taken to the first page of the order form. The instructions here outline each step of our online order form. If at any point you encounter difficulty or receive an error message, please contact our Customer Support. All prices include 20% VAT - this can be seen in the payment breakdown summary at the checkout. Orders from Non-EU countries are exempt from VAT and shall not appear in the breakdown summary in the checkout. At all times our acceptance of an order takes place on dispatch of the order, at which point the purchase contract will be made and you will be charged for your order. All offers are subject to availability and while stocks last.